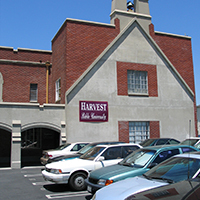 All units of credit given by Harvest Bible University must be earned by enrolling in courses, attending classes, completing required work, taking examinations, and receiving grades. In rare cases, such as Evangelism and certain electives, a course may be based primarily on directed activity. However, an instructor is still in charge, written reports and attendance are required, and grades are issued. Each course represents two units of credit per quarter. As far as possible, courses are designed to be similar in total work required; however, some differences are inevitable, depending upon the nature of the material covered. of calculating the student’s grade point average. These are not units of credit. Examinations are kept to a minimum so undue academic pressure does not build up on students. However, examinations are an important part of the learning process and are, therefore, handled in a manner consistent with the Word and the way God Himself tests us. Some specific points are that: (1) God does not test us more than we can bear. Therefore, instructors at Harvest attempt to keep the number of tests to a minimum. (2) God tests us for our good, for our growth into the image of Christ. Therefore, all testing at Harvest in the form of examinations is done to increase learning, not to put pressure on students. Testing helps the learning process through (a) the increased attentiveness of the student to material that will be on exams; (b) the process of learning the material better through studying for the examination; (c) the actual “review” of taking the test; and (d) the feedback when the test is returned and the student “sees” how he or she did. This last part is very important, and consequently it is university policy that instructors return graded tests by the next time the class meets after an examination, except in the case of final exams, which must be returned to students or sent to the university office within one week after the end of the quarter. A student who misses an examination must take the examination the next time he or she comes to class. Unless the reason for missing was an excused absence (see “Attendance” section) the grade received on the test may drop one grade if it was needlessly taken late. So be sure to talk to your instructor if you need to take a test late. It is the responsibility of the student to contact the instructor and arrange for the makeup exam. A student who fails to turn in a homework assignment, except for an excused absence (see “Attendance” section) will be dropped one grade if it was needlessly turned in late. The reason for these policies is not to help the university or the instructors, but to help the students keep from putting things off so long that they get discouraged and give up. If you find yourself behind and getting discouraged be sure to see your instructor, the Registrar, or the Dean for help and encouragement. If a student is not able to complete the work in a course before the end of the quarter due to illness or other pressing reasons (not just putting it off), he or she may request that the instructor issue an “Incomplete” instead of a grade. The student will then be allowed extra time to complete the missing work, up to 30 days normally after the last day of class for the quarter. If the student does not complete the work in that time, the grade for the course may be based upon work which was completed, with missing grades and assignments being averaged in as “F’s,” which may result in a lower grade, or even an “F,” for the quarter. Note that it is the student’s responsibility to follow through, not the instructor’s nor the university office’s. Instructors must turn all grades and attendance records in to the Registrar’s office within one week after the end of each quarter. The Registrar’s office will issue report cards to students who have earned grades. If a student has taken a course and received a poor grade, he or she may request permission to retake the course and have the better of the two grades entered on his or her official transcript. Regular tuition will be charged for each time the course is taken. Any student who gets six or more units with the grade “F” will be placed on “academic probation.” This simply means that during the next quarter the student will have the care and concern of the faculty and administration to help him or her do better. It is advisable to come to an instructor or the Dean before getting to this point. They will be glad to help. A student may add, change, or drop courses during the first three weeks of the quarter by going to the Registrar and filling out the proper form. If a student desires to drop a course, he or she must notify the Registrar. This way, financial credit will be received according to the refund schedule in the financial section of this catalog, and the student will receive a “W” for that course (Withdrew). If a student simply stops attending class, he or she will still be carried on the roll sheet, charged accordingly, and may receive an “F” for the course. So be sure to let the Registrar know before dropping so that your grades and charges are accurate. Sometimes a student wants to take a particular course but does not want to take it for credit. This is referred to as “auditing” a course. The cost is lower and the student receives all materials, but has no requirements for homework, tests, or attendance. The “auditor” simply sits in the class and listens. Audit students do not normally receive a grade, since they are not taking the course for credit. However, some audit students would like the option of receiving credit later for a course. They need to do the following: Let the instructor know; fulfill all normal attendance, homework, and test requirements; and ask the instructor to issue them a “grade” in his or her grade book at the end of the quarter. When they later want the audit changed to credit, they must come to the Registrar and request the change. If everything is in order, they may pay the rest of their tuition and the Registrar will enter their grade and units of credit on their official transcript as a regular course. Tardy—arriving in class after it has started. Three “tardies” are recorded as one unexcused absence. Unexcused absences—one per class, each quarter, maximum. Excused absences—three per class, each quarter, maximum. “Total absences” means the sum total of excused and unexcused absences, including absences recorded due to having three or more “tardies.” (For example, if a student has one unexcused absence, then he or she only qualifies for two excused absences, not three. Or if he or she has three “tardies” and one unexcused absence, then only one more excused absence is allowed. The total cannot exceed three in any case.) Any unresolved situations will be referred to the Dean for his decision. If a student exceeds the limit of allowable absences, he or she may go to the Registrar and request to be changed from “Credit” to “Audit” for that course, so as to be able to continue taking the class; or he or she may request to officially withdraw from the course to avoid an “F.” Doing neither will result in an “F” for the course. If a student is getting close to the limit, he or she should talk to the Registrar or the Dean before it’s too late and credit for the course is lost. Chapel is one of the most significant parts of the Bible university experience. It is a time when we all come together out of the classroom to rejoice in the Lord—singing, praising, and worshiping Him; praying for each other; fellowshipping together; and edifying each other in the Body of Christ. It is also a time when we can have outside speakers or other special series, let students have a chance to preach, and do many other “extras” together. When chapel is held, it will be in the middle of the evening, between the two class sessions. Everyone attending school that night should attend, even if they only have one class. 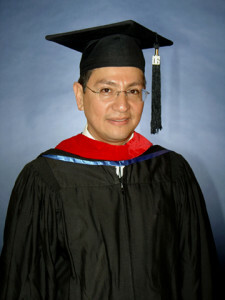 Harvest Bible University does not exist simply to issue degrees nor just to pass on information. The goal of the university is to produce mature men and women of God who are living examples of healthy, committed Christians. Therefore, all students are to attend weekly worship services at their own home church. 1. The student must have the other school send an official, sealed transcript to the Registrar here at Harvest. 2. The other school must be accredited or approved. If it is not, then the Committee will make an objective analysis of the quality of the institution based upon its catalog, a perusal of the student’s course syllabi and class notes, information in listings of colleges and universities, and contacts with the school itself and others familiar with it. 4. Direct equivalents of courses at Harvest will transfer. Courses which are similar may transfer at partial credit. Courses which are different but which would definitely contribute toward the specific degree being sought may transfer at partial or full credit. 5. At least one-fourth of the units toward a degree or certificate must be earned at Harvest. 6. In every case, the decision of the Committee will be final. All degrees are awarded at the annual graduation ceremony. No degree may be issued at any other time, nor to a student who does not attend and participate in the ceremony (except in cases such as extreme illness or death in the family). Also, as explained earlier, Harvest is not nearly as interested in issuing degrees as it is in building men and women of God. Therefore, simply completing all academic requirements does not automatically equal a given degree. If a student were to insist on living an unChristlike life after repeated admonitions from the faculty or Dean, he or she might not receive a degree. However, this policy refers only to clear-cut cases, where the student has been warned more than once by the Dean of the possibility of not receiving a degree and has been given special attention on a number of occasions to help with the problem(s).